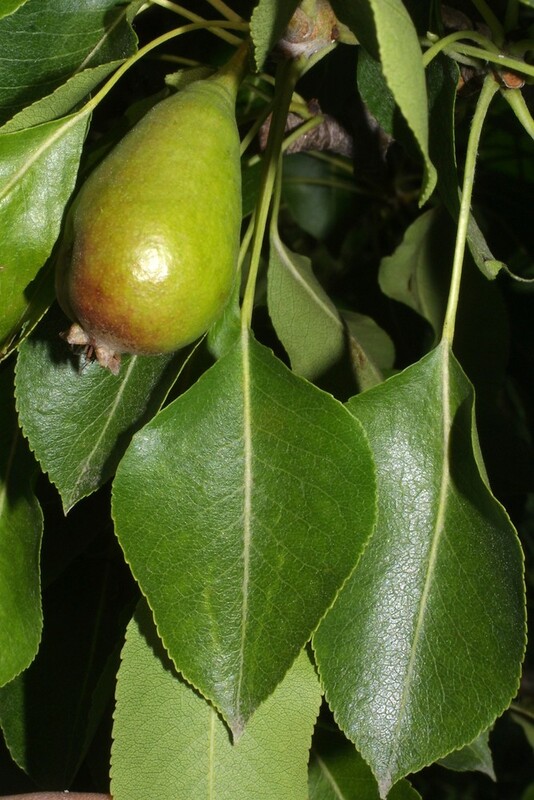 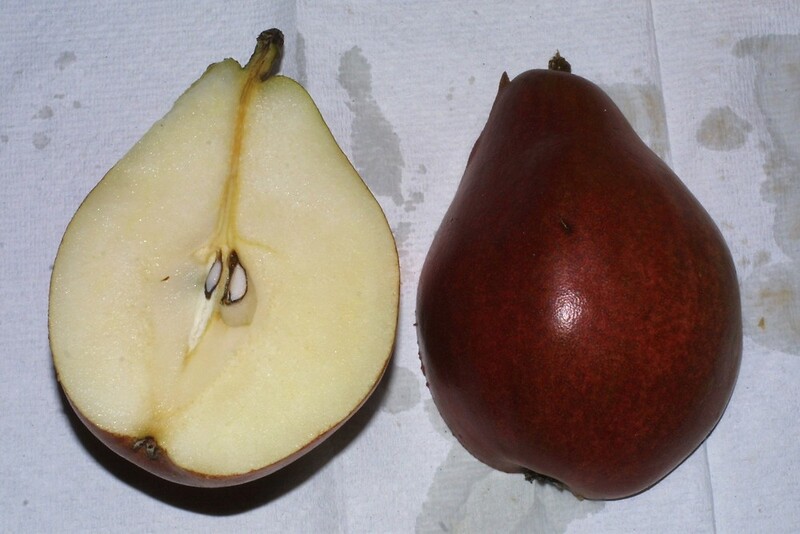 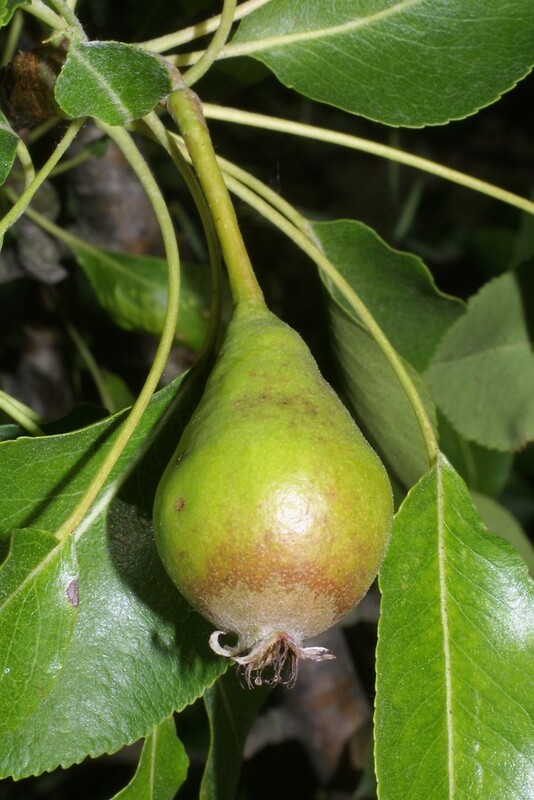 Common or European pear is the genetic source of many of the fruit-bearing cultivars we know as "pears." 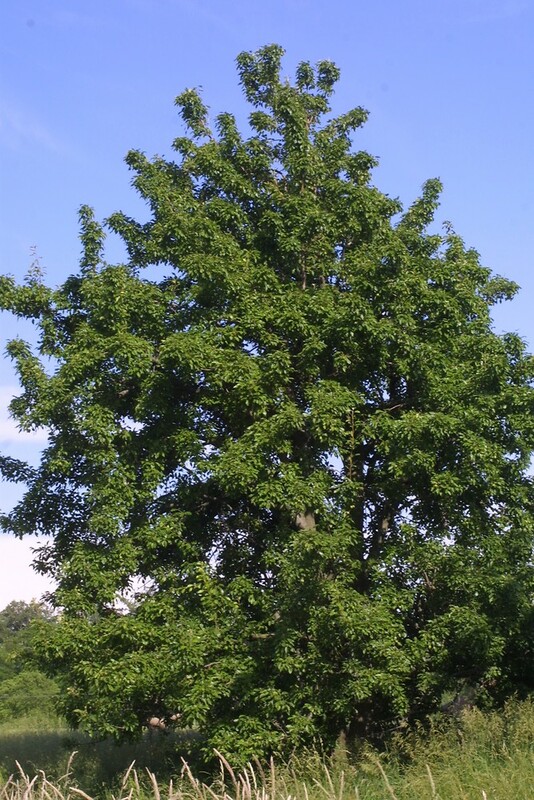 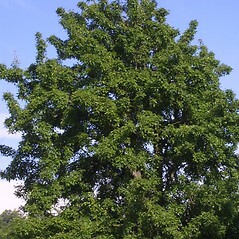 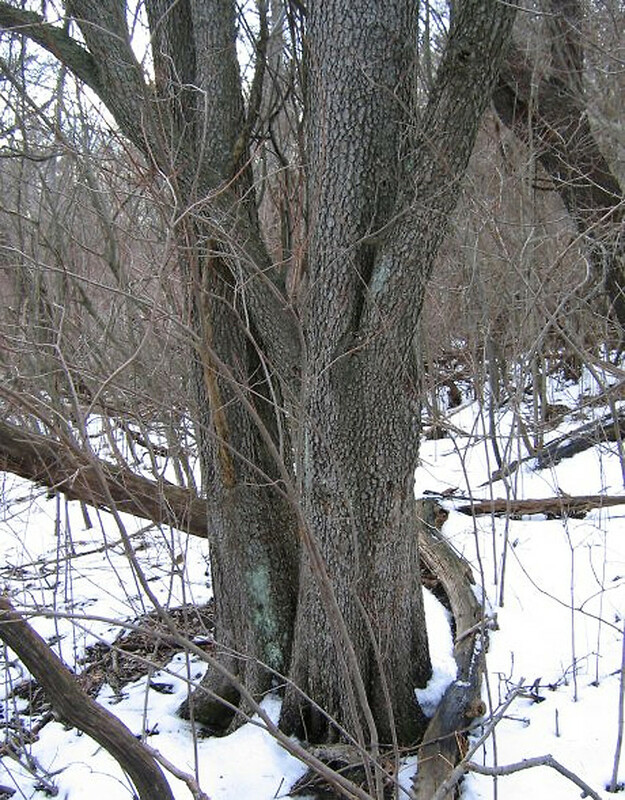 Because of its wide cultivation, it has escaped and naturalized throughout the U. S. and Canada. 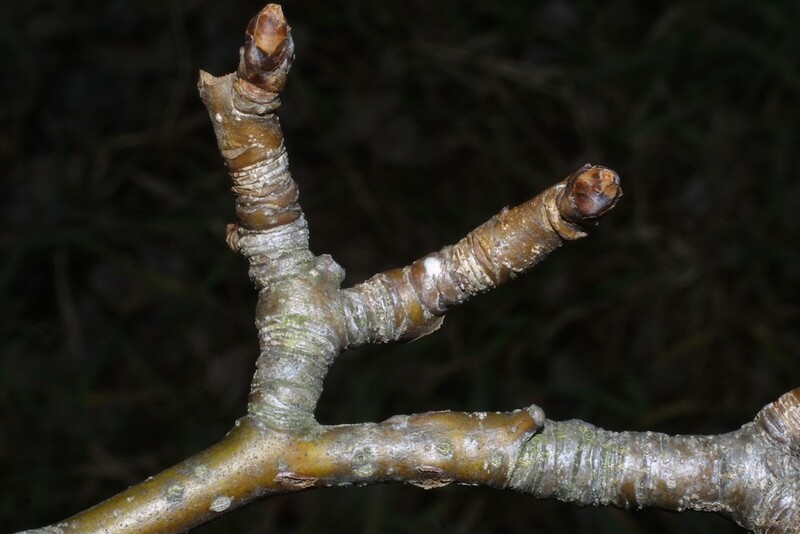 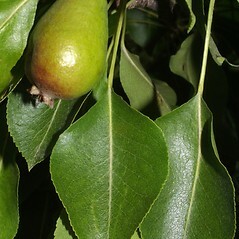 It is distinguished from the commonly planted Callery pear (P. calleryana) by its larger flowers (2.4-3 cm, 1 inch in diameter), its hairy hypanthium, and its light-yellow fruit that we all love to eat. 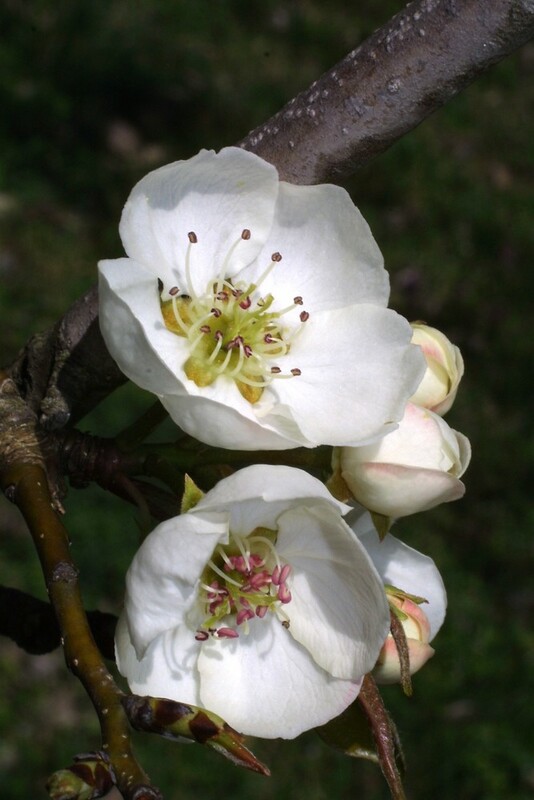 Its fragrant, white flowers, blooming in April to May, attract bees and butterflies. 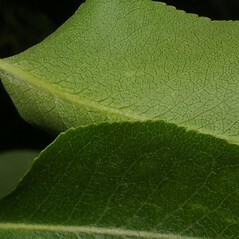 leaf blades entire and flowers 40-50 mm in diameter (vs. P. communis, with leaf blades toothed and flowers 25-35 mm in diameter). 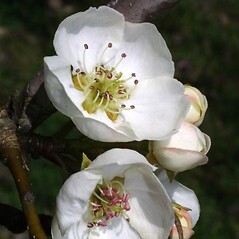 flowers with 2 or 3 styles and a glabrous hypanthium, and pome 0.9-1.5 cm in diameter (vs. P. communis, flowers with 5 styles and a pubescent hypanthium, and pome mostly 4-12 cm in diameter). 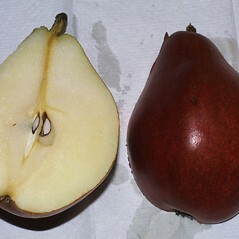 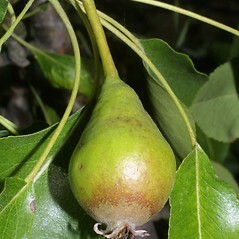 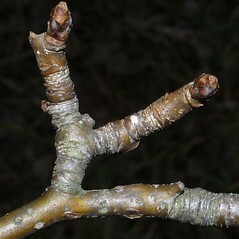 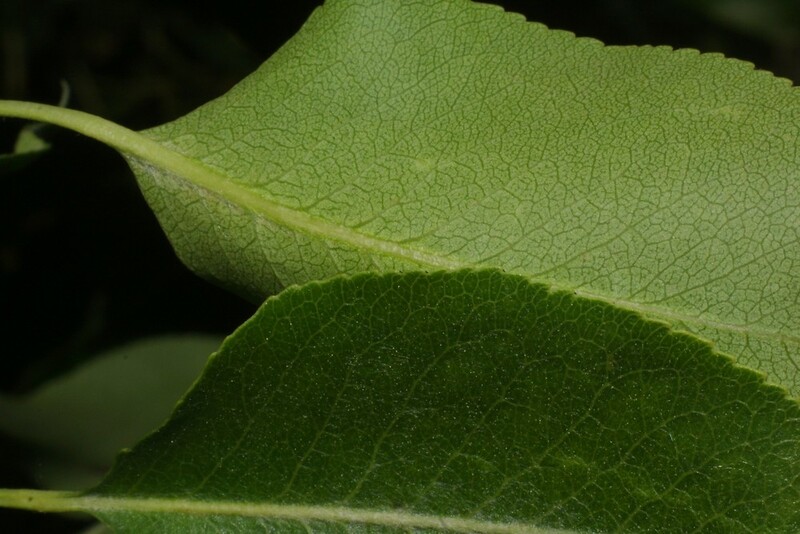 common pear. 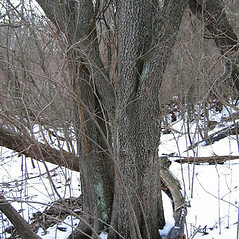 CT, MA, ME, NH, RI, VT. Fields, roadsides, forest borders, abandoned homesteads.